Lost my fan grease cup and now fan hub tightens up when engine is running. Can I adjust it and then put a lock nut on it until I find a new cup? Am I missing something else? Yes you an put a lock nut on it. That is what the cup assembly is. You should be able to get the cup from Lang�s or Snyder�s. Do you have a lock down nut on the bolt or just the bolt? 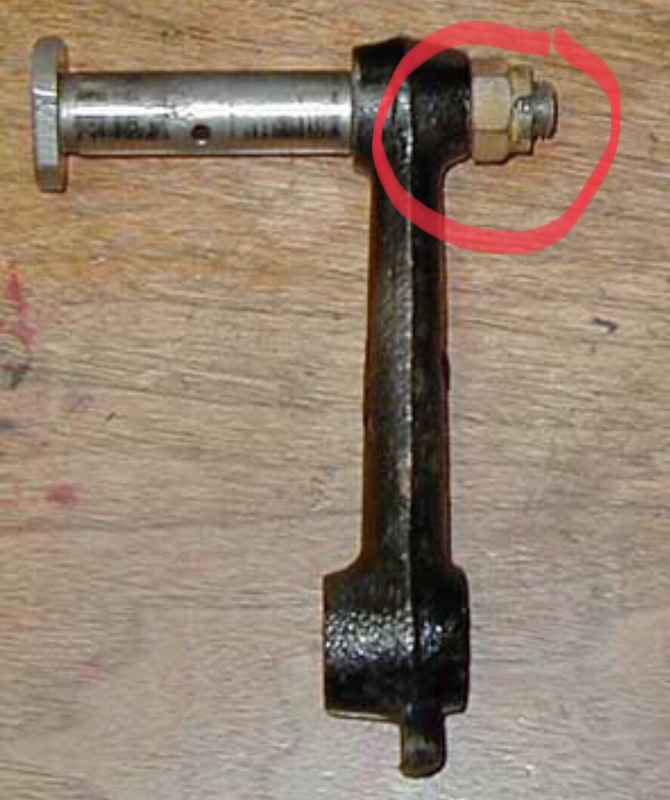 On the early style with riveted on blades, the grease cup is the lock nut. Thank you forum. I�m sure last time I grease the hub I didn�t tighten the cup enough. When you get the assembly take the cup off and fill it with grease. Tighten the nut part against your bolt then screw on the cup to push grease into the bolt which lubricates the fan bearing via a hole in the bolt. The nut stays tight, the cup gets screwed down for more grease. When empty refill with grease. Looks like that castle nut is the reason you lost it! Neil, the fan shaft is stepped and when all is correct, the shaft winds in and stops on the step. If your fan binds before the step is engaged on the bracket, the fan bushings need to be faced down so you can tighten the shaft. The bracket works as a locknut when the shaft is turned home against it. When the greaser is fitted it complements the locking action of the shaft to the arm. The thin metal of the greaser base is not meant to be the primary lock for the shaft. Check the books, but the year 1920 to 1927 fans were not supposed to have a grease cup there anyway. Ford Part Number 3980 is a small screw that is supposed to be removed to add oil on a regular basis.